We are proud to provide tailored investment advice within a full-service wealth management solution. Designed to help simplify and enhance your life, our unique solutions rely on insightful expertise drawn from a thorough understanding of your needs. We understand these needs by developing a genuine personal relationship built on mutual trust, honesty and communication. Our long-term commitment to this relationship allows our service to grow and adapt with you, your family and your business as you move through the many distinct phases of life. Our clients are affluent individuals, families, business owners, and corporations with sizeable investable assets and a wide variety of complex financial needs. Our clients are looking for consistent capital preservation, balanced growth, integrated wealth planning, and thoughtful tax strategies to help them protect and grow their assets. We understand that managing wealth can be challenging, so our team goal is to simplify the process with a comprehensive strategy. Despite the inherent complexity within wealth management, we believe that by integrating all aspects of your financial picture we can simplify the process considerably. This holistic plan then releases you to focus on helping you achieving your own personal vision of success while we concentrate on executing your unique strategy. We aspire to deliver the results you expect and the service you deserve, and are committed to continually earn your business throughout the course of our relationship. Each member of our team shares the same dedication to making your needs our highest foremost priority. Our simple investment and wealth planning process is imperative to help keeping your plans aligned with your goals and circumstances as they change over time. Working together, we help translate your vision into concrete goals, with a particular focus on your family, home, career, well-being, lifestyle, and legacy. We believe that your personal wealth strategy is the foundation of your financial success. This strategy begins with a thorough understanding of the most important aspect of this plan – you. Together we will explore your personal values and beliefs, your financial past and present including family dynamics and professional interests, as well as your future goals for yourself, your family, and your business. Once the complete picture has been established, we carefully create your personal wealth plan that acts as the road map to help you to achieve your goals. Woven throughout the strategy is a detailed analysis of the tax strategies and insurance considerations thanks to our TD specialists that need to be addressed over the plan’s time period. We believe the cornerstone of every wealth strategy is sound investment management. A key strength of the Oberman Wealth Management Group is an investment philosophy that is rigorous, disciplined and comprehensive with a conservative, balanced approach to wealth preservation and growth. As our client, you can benefit from having access to a wide range of TD specialists dedicated to meeting the needs of affluent clients. We can comprehensively and efficiently help to serve you while keeping your wealth plan intact. This holistic approach strives to ensure your overall strategy is never compromised. 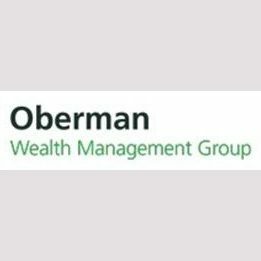 Oberman Wealth is a part of TD Wealth Private Investment Advice, a division of TD Waterhouse Canada Inc. which is a subsidiary of the Toronto-Dominion Bank. Clarity , Conviction, Consistency , Communication , These are the four building blocks which best describe Adam Oberman’s approach to personal, professional, and family wealth accumulation and asset management. In his advisory practice, Adam goes above and beyond day-to-day investment recommendations and portfolio building – important though they are. He believes in total wealth planning: a holistic approach to wealth accumulation that encompasses financial and investment advice, insurance strategy, will and estate planning, and legacy creation. 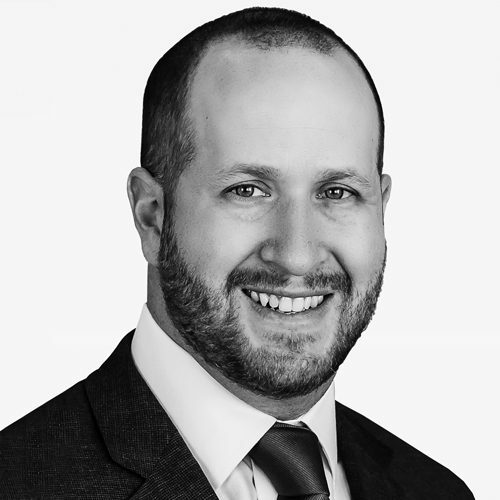 Backed by the national and international resources of TD Wealth and the TD Bank Financial Group, Adam brings a wide and powerful range of financial disciplines and personal empathy to his work as an investment advisor. Adam is a Chartered Investment Manager, which means he has the expertise necessary to provide money management services to high net worth and institutional clients. He is a Certified Retirement Specialist and a Life Insurance Advisor with TD Wealth Insurance Services. Adam is a former Branch Manager and Options Trading Supervisor. He has also trained and worked as a Proprietary Trader. 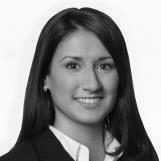 Lorraine is an Associate Investment Advisor with Oberman Wealth Management Group. She is a licensed Registered Representative, has successfully completed the Life License Qualification Program and is also a CFA Level III Candidate. Lorraine received a Bachelor of Business Administration degree from Wilfrid Laurier University with Honours, Distinction and a major in Finance. Gloria Oberman is an Administrative Associate, responsible for the smooth and efficient day-to-day maintenance of your accounts.